Finally! A big sigh of relief was shared by millions of hockey fans on Sunday January 6th. The NHL and NHLPA announced a tentative agreement on a new CBA that would bring an end to the recent lockout. After months of no “professional” hockey available for our viewing pleasure, the grand show would be coming back to the stage. Now I know there are many fans out there who are still upset about how the whole process of negotiating took place. I have heard many people say they do not care about the NHL anymore, they do not plan on going to any games, they do not plan on buying any NHL apparel or memorabilia, etc. But not me! I am so pumped about the new season and seeing my boys in red, white and blue back on the ice. I want to go to games. I want to buy Rangers’ gear. I have already bought a new Rangers’ jersey and hope to christen it at MSG soon (hopefully with a win). 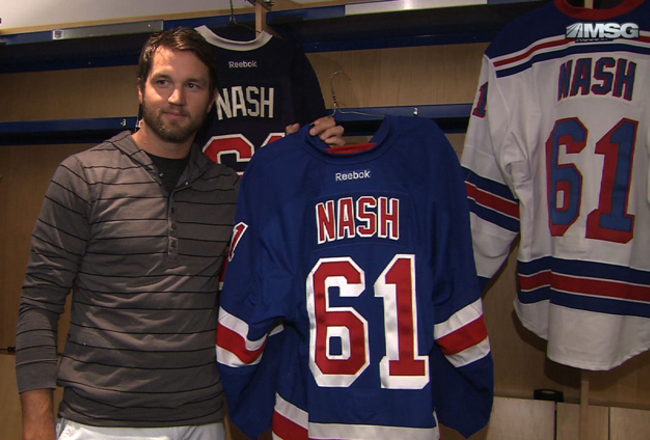 The big news that came at the end of the 2011-2012 season was the Rangers signing (via trade) Rick Nash. Nash has been long been considered a strong and skilled hockey player who has only been held back from “greatness” due to a lackluster supporting cast. That is why when rumors started that Nash could be available there were a lot of teams interested in going after him. 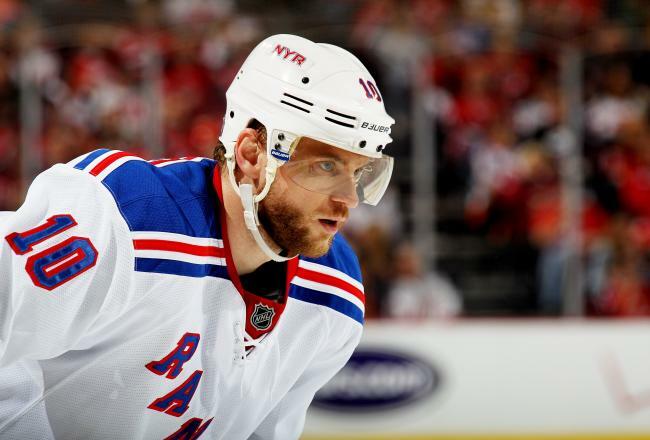 It was a great day when the news spread that the Rangers got him (even at the cost of fan-favorite Brandon Dubinsky [not the only player involved in the trade]). While the expectations are high, it is not without good reason. As I mentioned, many critics have assumed Nash’s numbers have not been as good as they could be because of what was around him. Now with the Rangers, he will have a number one center with Brad Richards and capable potential wing-partners in Marian Gaborik, Ryan Callahan, or others. I anticipate big things to come from Rick Nash this season and that he will now finally able to shine the way he always should have.There was much concern, when the assumption was that the 2012-2013 season would start on time, about Marian Gaborik. He was set to have shoulder surgery to repair an injury and would have missed the beginning of the season. Injury has often plagued this gifted player and has negatively impacted his stats. When healthy, Gaborik has been in contention for both the Rocket Richard trophy (most goals) and Art Ross trophy (most points). His speed and skill with the puck are at the highest levels. With the time he has had to recover and the shortened length of the season, Gaborik’s performance should be incredible to watch this season. He will start off healthy and with fewer games to be played there will be less of a chance of him missing any due to injury. Perhaps he will finally capture one or more of those awards I mentioned. And of course let us not forget about King Henrik. Henrik Lundqvist is an elite goaltender who has been an integral part to the Rangers’ success over the last few seasons. The 2012 NHL Vezina trophy winner (awarded to the best goaltender) looks to keep his crown and help the Rangers to another successful season. He has shown no signs of slowing down and will continue to shut down opposing teams’ offense, perhaps even with just his good looks! I smell a repeat for the Vezina. 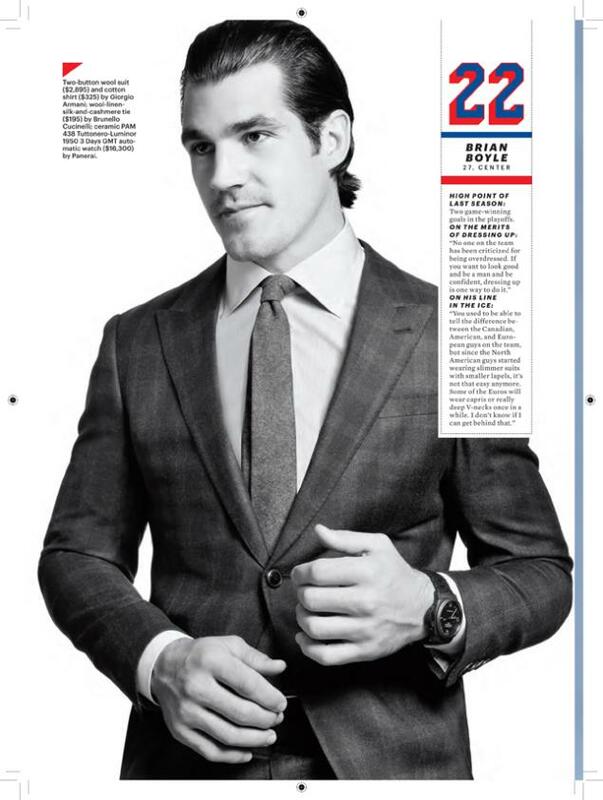 I personally am looking forward to watching Brian Boyle. First off, he is a huge stud. At 6 foot 7 inches, this giant of a hunk was recently featured in Esquire magazine as one of several players chosen to model some “executive portfolio” designs. But Boyle is not just good lookin. He is a force to reckon with on the ice. His large frame and strength mean that when he goes on to the boards to fight for that puck, he is likely coming out with it. He registered 236 hits last season and blocked 83 shots. Brian Boyle is also a part of the You Can Play Project. He appeared in a video with other NHL players who support the cause. 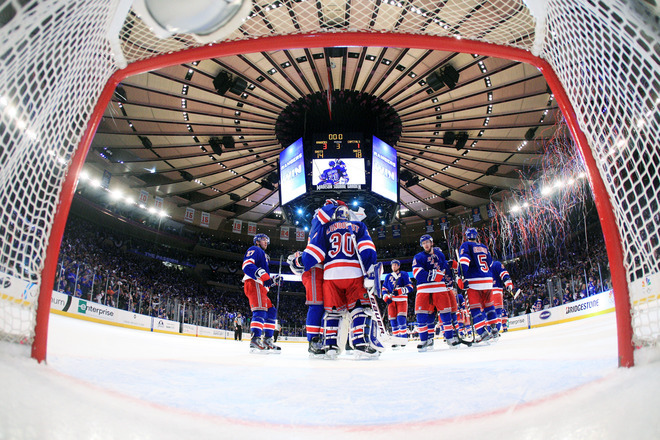 There is a lot to look forward to from the NY Rangers club this 2013 season and I cannot wait! It is going to be awesome! There are some high expectations, both for specific players and the team as a whole, and I believe they will all surpass them. This is one extraordinary hockey club and they are itching to prove it. Here is to the start of the 2013 season! LET’S GO RANGERS!!! This entry was posted in New York Rangers. Bookmark the permalink.